If we believe Jesus is who He says He is and that He did what God’s word said He did, then we should seek diligently to do all He told us to do. My family and YOUR family were created by God and for God’s glory, and He made it clear in His word that it is our call as parents to teach His ways to our children. As parents we are called not only to teach, but also to emulate to them what it means to live for Him. Deuteronomy 6:4-9 is a landmark passage for us as parents in the instruction of what Family Discipleship looks like. Take a minute to carefully and prayerfully read this passage, even if you are familiar with it. Just imagine what the impact on our world would be if Christian parents would be obedient to this call. Imagine with me, the multi-generational influence it would have if we started passing on to our children what it means to fear God, be in relationship with God through His son Jesus, and to follow Him. 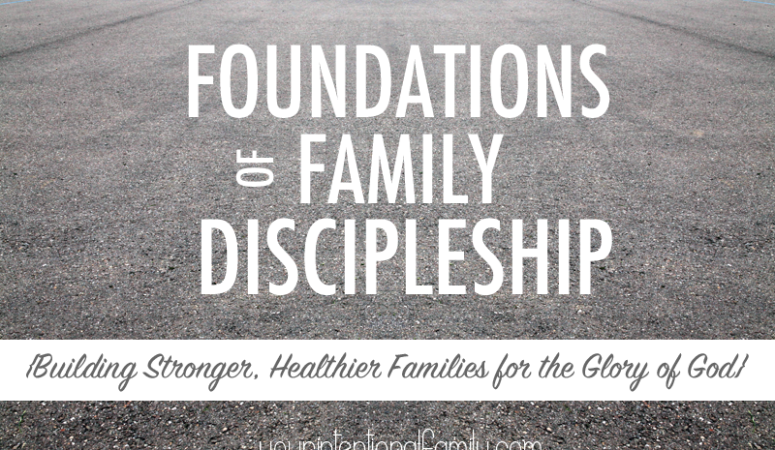 I believe that not only would we have stronger, healthier families, but more importantly that those families would be powerful tools for gospel ministry around the world, and firm foundations to live out the Great Commission. As much as it is in our power, discipleship should start in the home and launch from there to the ends of the earth. So in order to challenge all of us to intentionally reflect on our call to disciple our children, here are some key areas to consider. Before we can make any progress in the area of family discipleship, we must first establish WHO all this is about and for. In vs 4. Moses is addressing all of the people of Israel, and reminding them that they serve the one true God, and that His power and existence are unquestionable. He is not to be confused with the gods of the surrounding nations. Today, in our present life, we should pause to remind ourselves of who God is, so that we have a right understanding of why the verses that follow are so important. We should also heed this as a warning to us. We can’t let the idols, and gods of our culture that surround us, creep into our lives and take the place of our one true God. The truth is we need the reminder that God doesn’t come after work, school, sports, rest, etc. He is the One and Only. He holds the galaxies together. He gives us the air we breathe. Nothing else deserves our devotion like He does. If we don’t believe or grasp this truth, then the rest of our efforts are built on shifting sands and the rest of this passage from Deuteronomy will pretty much be impossible to follow. In verses 5 and 6 Moses addresses the life of the people he is speaking to. YOU, not everyone else, but YOU, shall love the Lord your God with all of your heart, soul, and might. In the process of family discipleship, we cannot be fooled to think that we can teach our children to do what we don’t do ourselves. If we try to disciple our children because we are supposed to, but are not convinced of the importance to do it ourselves, than we are going to be pretty unconvincing. The old idiom of hypocrisy “Do as I say and not as I do” has no place here. You must first live out the example, because without your example, all of your words are empty. If we ignore the importance of this step, we will be setup to fail from the start. Once we understand our call, we are charged as parents to teach it to our children (vs. 7). So how are we to teach them? Talk about His word all the time, through all of life. This is an all consuming call, not a three step program you complete and move on from. At home, when you leave home, when you go to bed, and when you wake up in the morning. This command can come across pretty heavy and maybe even seem “legalistic” in our grace focused culture today. I believe it can easily be taken that way, and with good reason. The point I think we miss here is that this is not something we just go and start doing. Verse 7 is the result of an overflow of verses 4- 6 in our life. Our worship of God is not an isolated event. It is not a checklist, but a beautiful and organic part of who we are when we are abiding in Him. God’s word is living and active! When we treat God’s word this way, it becomes a part of every aspect of our lives. Our family is transformed into a living breathing organism that loves God and others. We become a powerful tool to reach the ends of the earth with the Good News of the Gospel. I think it is important to remember again that our faith and worship is not an isolated area of our life, and this is one of the areas that most of us fail in discipling our children. I know I have a lot of room for improvement in showing my children tangibly what it looks like to live out the gospel daily. I want them to see how God’s word is living and active to build their faith and experience the blessing of walking in His will and purpose. In the simplest sense, we should live a life that makes it clear that we are children of God. This takes form in our actions, our words, and our peace and hope. As we interact with people in our community, or if we have people into our homes, the hope and light of the gospel shines forth. This is what it is all about. We seek to walk out Deuteronomy 6:4-9 in our lives so that we can faithfully fulfill the Great Commission (Matt. 28:16-20) and the greatest commandment (Matt. 22:36-40), and ultimately bring glory to His name. 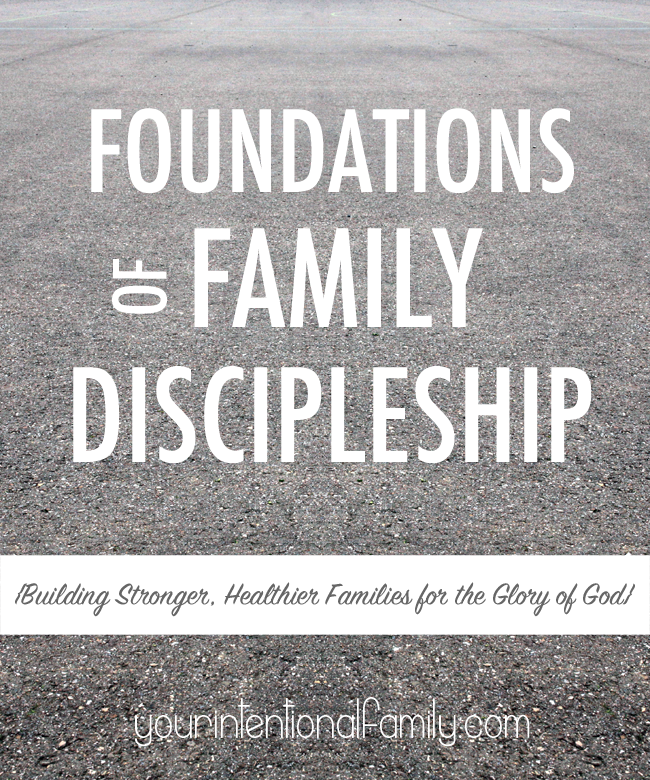 No matter where you are right now, if the Spirit stirs in you a desire to be a faithful discipler of your family, He can move in ways you will never understand. Men, lead your families here. You are like a rutter on a ship. How you approach this will steer and direct your family for generations to come. Your life is a legacy. Make it count! 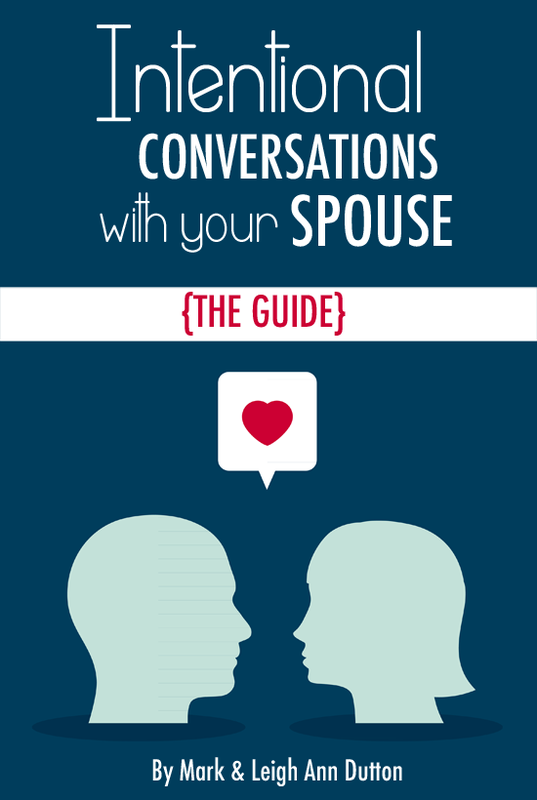 Ladies encourage your husbands in their efforts and use your gifts to help your family grow in this area. If you have a man who doesn’t lead, pray for God’s intervention. I am living proof of this. 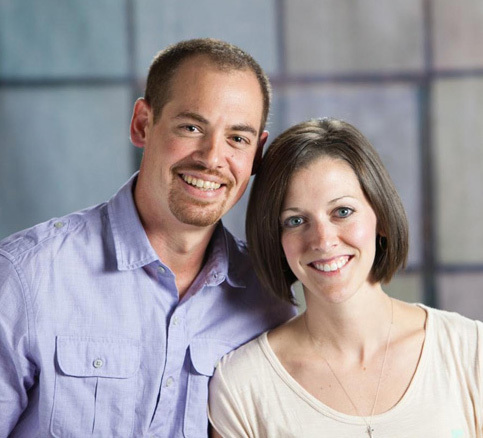 God convicted my heart, and with the encouragement and help from my wife, God has transformed our home. Let gentleness and respect win him over, and rather than nag your husband in his failures, take that same energy and frustration and appeal to the Lord, who holds the heart of kings in His hands (Proverbs 21:1). You will be amazed by what He can do! What about you? 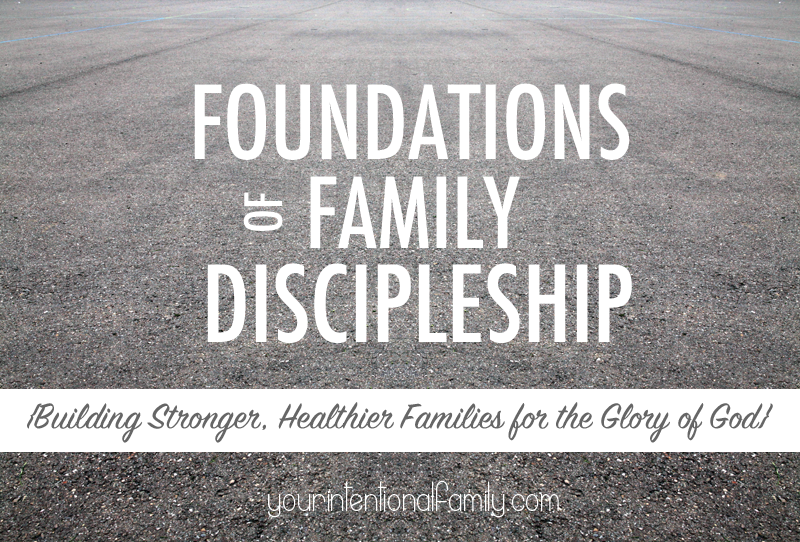 Is family discipleship important to your family? Let us know in the comments, what it looks like for your family, and encourage us and other families on this journey. These truths are so, so important! Thank you for your encouragement in the area of family discipleship.